If you have a SEA LIFE Birmingham and Warwick Castle Combination Ticket - You do not need to book your second visit in advance. Simply take your ticket along to Warwick Castle on the day you wish to visit within the 3 month period. Please note your Warwick Castle ticket is for Castle and Grounds entry and therefore does not include entry to secondary attractions/event, including but not limited to The Castle Dungeon and evening events.  If you have a SEA LIFE Birmingham and LEGOLAND Discovery Centre Birmingham Combination Tickets - Your booking confirmation email will have a link to book and guarantee your LEGOLAND® Discovery Centre Birmingham visit. Please note: You must have at least 1 child aged 17 and under in your party to visit LEGOLAND Discovery Centre​ Birmingham.